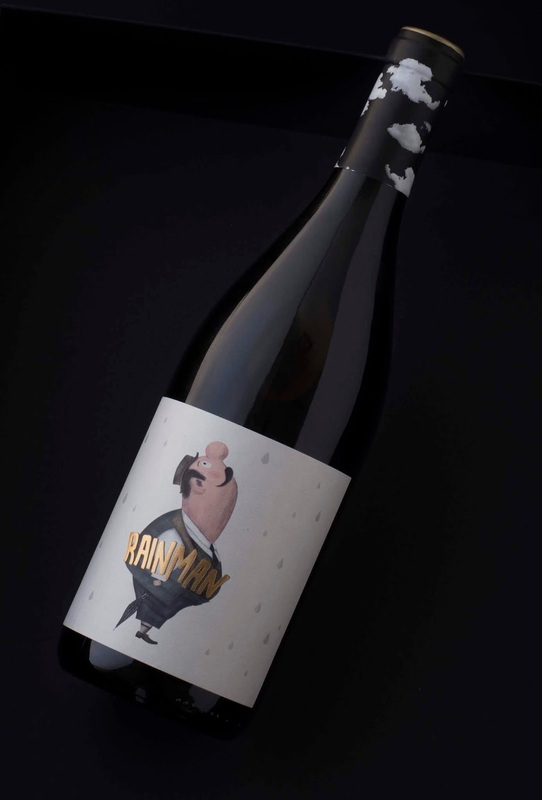 Rainman represents the figure of the wise, knowledgeable man of the earth and its virtues. It refers to the height of the area where it comes from, inviting us to dream. This wine has been produced in the easternmost area of ​​the D.O. Ribeira Sacra, in the Valle do Bibei, which combines different altitudes (between 350-500 m). 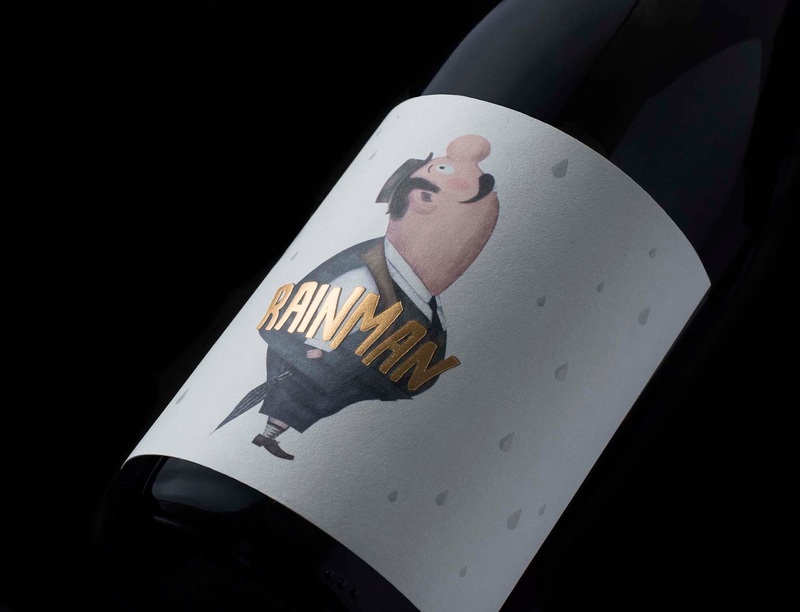 The overall vision of the elements that make up the bottle has been fundamental to create the message we want to convey. We have designed the capsule, representation of the sky, for what it is part of the whole creating a unique whole. The illustration is the main element of the label. To do this, we have created with care each of the details that comprise it. It is accompanied by the name of the brand with a central typography, with a character that allows great visibility. They close the raindrops that begin to fall from the sky. In terms of finishes, the label has been printed on a Tintoretto Gesso Ultra WS 115. The brand has been executed with a gold seal and external blow. To give texture to the drops of water we have marked them with a varnish in relief.